Saint Mary’s is one of a few Catholic colleges and universities in the United States that have been invited to participate in the Overseas Student Programme at Blackfriars Hall of Oxford University. The Overseas Student Programme provides highly motivated students with a special opportunity to spend up to a year studying at one of the world’s most storied universities (Oxford), as well as at one of the world’s most famous centers for the study of the Catholic intellectual tradition (Blackfriars Hall). Participants in the program are able to work one-on-one with world class faculty members, enjoy conversations and forge friendships with other talented students from around the world, and imbibe the history and culture of a medieval university city as well as that of England itself. As a participant in the Overseas Student Programme at Blackfriars Hall, you will not just be part of an American study abroad program: you will be an Official Visiting Student of Oxford University. Accordingly, you will enjoy access to the same academic, cultural and extracurricular opportunities available to all Oxford students. Like all of the halls and colleges of Oxford University, Blackfriars’ academic program is built on the foundation of the “Oxbridge tutorial,” a weekly class for which the student does intensive reading, prepares an essay, and meets one-on-one (or, more rarely, two-on-one) with a faculty member to discuss important issues raised in the reading and in the student’s essay. Students normally take two tutorial courses and two lecture courses per term at Blackfriars itself, and are able to take other courses from across the University as time and interest allow. Blackfriars’ course offerings are most robust in the disciplines of philosophy, theology, history and literature, though it is also possible to take tutorial and lecture courses at Blackfriars in economics, politics, and psychology, as well as to take lectures, seminars and language courses from the full range of offerings across Oxford University. Students who participate in the Overseas Student Programme should work closely with Saint Mary’s officials to craft a course of study that will allow them to take full advantage of the opportunities available at Blackfriars while making progress toward their major and general educational requirements at Saint Mary’s. The Overseas Student Programme is housed at Blackfriars Hall, Oxford University. The city of Oxford is a short bus ride away from London, with its museums, theaters, historical sites, shopping, and multiple transportation centers offering easy access to other cities in Europe and the rest of the world. Transfer of credits from Blackfriars to Saint Mary’s will be worked out on a case by case basis. 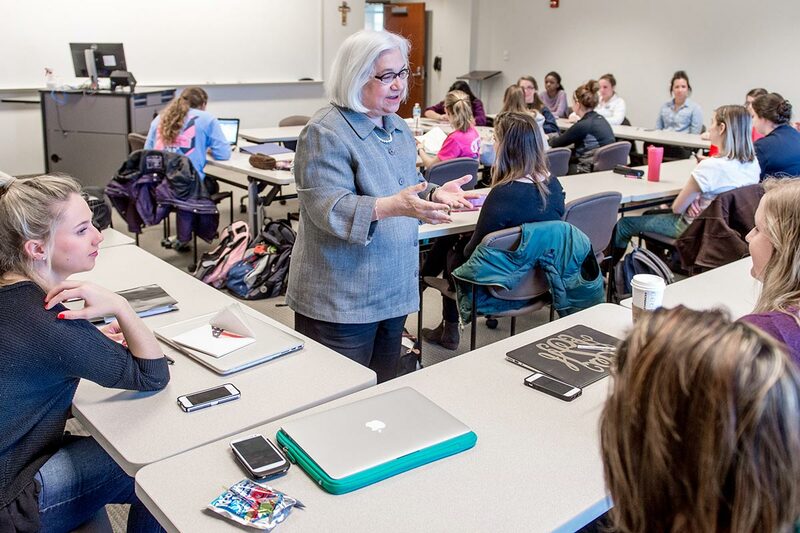 In general, though, students can assume that a full course load at Blackfriars will translate into at least fifteen credits per semester of Saint Mary’s credits. Students are normally accommodated in one of two comfortable, historic houses on stately St. John Street (adjacent to Blackfriars Hall). Both single and twin rooms are available. In the event that space is not available in Blackfriars’ St. John Street houses, Blackfriars will arrange nearby accommodations with similar facilities. Students must complete the Overseas Student Programme Application Form, including a five hundred word personal statement explaining why she wishes to study at Blackfriars, a sample of written academic work (not to exceed 5000 words), an academic recommendation, and an official transcript. Normally, students are required to have a GPA of 3.8 or higher to apply for the program. And students must be twenty-one years old (or turn twenty-one) while studying at Blackfriars.